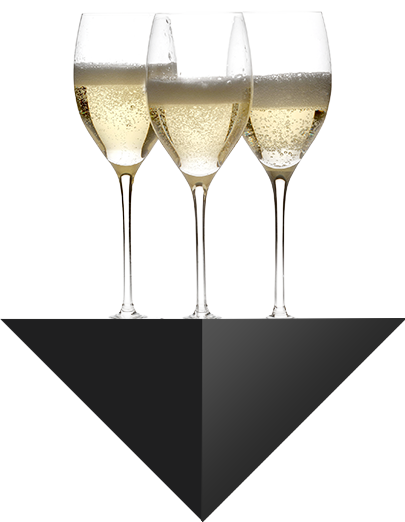 The Ferrari Spazio Bollicine wine bars were created as the result of a desire to bring Trentodoc to places that symbolize the art of living, Italian-style. 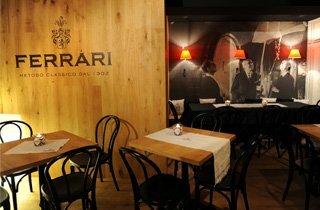 As ambassadors of the Ferrari image, they express the very essence of Italian style and of the pleasure of being in good company: they interpret the spirit of the places where they are to be found, whilst also evoking the prestige and appeal of Ferrari. 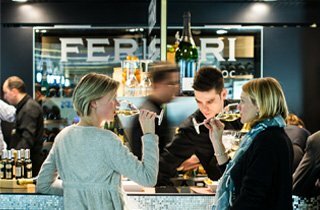 The first Ferrari wine bar Ferrari to be opened in an airport welcomes you to the Eternal City. 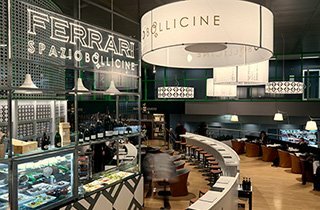 At the Ferrari Spazio Bollicine at Fiumicino, a stopover in the airport becomes a way to experience the world of Trentodoc. Before heading back to their homes, all those many people who chose Milan as their destination will enjoy a final toast to fully experience the Italian art of living. 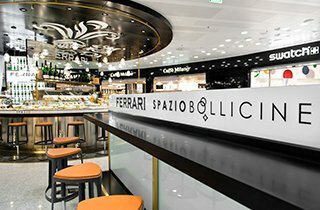 After the successful opening of Ferrari Spazio Bollicine at the Fiumicino airport in Rome and the Malpensa airport in Milan, Ferrari Winery lands at the Linate airport with a featured area that has been warmly welcomed by the travellers headed to the fashion and design capital of Italy. The first Ferrari Spazio Bollicine was inaugurated at Madonna di Campiglio, the renowned resort in the heart of the Brenta Dolomites.